Zach Herndon is an artist living in Atlanta, GA with his wife Jessi Queen. Jessi first introduced Zach to chalk art in 2011. Since then he's worked side-by-side with Jessi on her street paintings, focusing primarily on color blocking and obsessive straight edges. He has attended festivals all across the USA and in Europe. Zach and Jessi live in Atlanta with their baby son and two awesome dachshunds. Zach co-founded the GA Chalk Artists Guild with Jessi Queen and Katie Bush in 2014. The organization partners with festivals throughout Georgia to bring chalk art to various corners of the state. He’s passionate about engaging festival patrons and including them in the process. In 2015, Zach and Jessi shared a chalk piece at the Gwinnett Arts Fest and won First Place and People’s Choice Award. Zach then chalked at the Sarasota International Chalk Festival where his crisp line-work and attention to detail flourished. 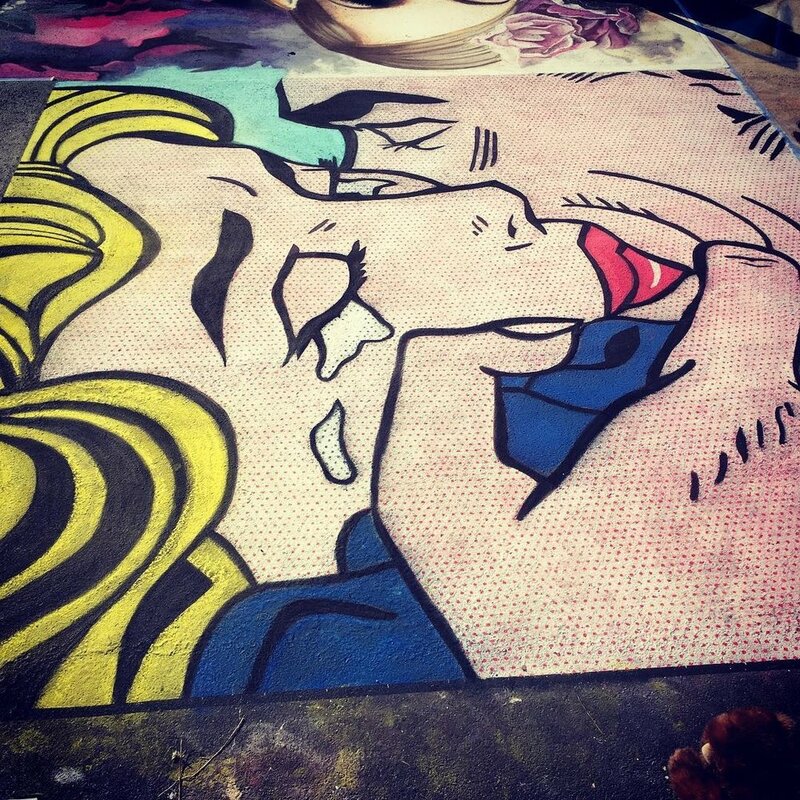 In 2016, he participated in the Lake Worth Street Painting Festival and developed his own method for chalking Lichtenstein’s famous ben-day dots.